Hydrogen can be central for long-term storage of renewable electricity production and both fossil and renewable production routes for hydrogen will most probably grow in parallel. Hybrid solutions can be a stepping stone for integration of electrolysis and renewable solutions into large-scale production. Hydrogen is essential for a number of industries with the market value estimated to reach 60 billion USD in 2023 (Value of produced hydrogen excl. ammonia and methanol, Freedonia 2014). It is used in refining, chemical industry, metal and glass production, food processing, and electronics sector. Technologies and processes for hydrogen generations have been well established for many years now. Over the last decade, however, a great increase in renewable electricity production and a growing emphasis on the environmental footprint of traditional production methods have been pushing technology providers to develop efficient solutions with significantly reduced levels of CO2 emissions and water consumption. photolytic processes, i.e. photoelectrochemical hydrogen production using solar power to directly split water and biological hydrogen production via photobiological water spitting. Although all of the above are technically feasible, in reality only few have gained industrial acceptance due to process efficiency and economy of large scale production. Steam reforming is the most energy efficient and economic route to hydrogen, and has become the dominant technology in hydrogen production. Topsoe plays an active role in adapting the traditional steam-reforming-based technologies to the new reality with products like SynCOR™, Haldor Topsoe Exchange Reformer (HTER), and Haldor Topsoe Convective Reformer (HTCR). Our advanced steam reforming technologies have been process-intensified to make the optimal use of hydrocarbon feedstock and ensure energy efficiency. Electrolysis and particularly alkali and choralkali electrolysis have both existed in parallel with steam reforming and produced on-purpose hydrogen or hydrogen as a by-product but have not been economically attractive. Given the growing interest in renewable power production, electrolysis may see a revival. 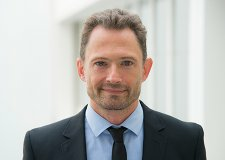 Before it takes a dominating position in hydrogen production, though, adaption of renewable electricity into steam reforming seems more opportune and it opens avenues for processes with more efficient use of hydrocarbon feedstock while significantly reducing environmental footprint, especially CO2 emission. Integrating electricity into steam reforming is not simply an investment in the future or something driven by corporate social responsibility. It is in fact becoming an economically attractive solution in parts of the world where gas prices are high and electricity prices are low. In the initial stage the electricity production may be from fossil resources, but these will gradually be complemented or even substituted with the production from renewable sources - predominantly solar and wind. The first and simple stage of electricity integration will probably be using electricity in gas and steam driven utilities such as blowers, pumps, heaters, boilers, compressors, furnaces, and ovens, etc., and optimal substitutions can readily be identified and evaluated with respect to overall economy and CO2 footprint. The next step is to look into electrification of the Steam Methane Reformer (SMR). An additional stage of electricity integration into hydrogen production can be a gradual introduction of electrolysis in combination with steam reforming. This is particularly interesting when oxygen blown reformers are applied, since several electrolysis technologies not only produce hydrogen when splitting water, they also produce oxygen. In in this way there are no “waste” products from the electrolysers and, when crediting the value of the oxygen production, the overall efficiency of the electrolyser can be considered as doubled. While steam reforming will most probably remain the primary technology for hydrogen production in the future and we’ll keep on improving it, long-time investments in technologies with electricity integration will become more and more attractive thanks to the lowering cost. 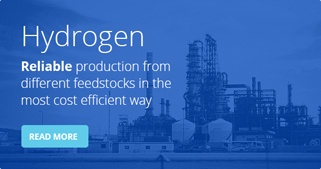 With Topsoe’s extensive portfolio in steam reforming technology and catalyst for syngas conditioning and synthesis, as well as a growing offering of technology schemes integrating electricity at all stages of hydrogen production, customers can expect tailored and optimized solutions that can be used in the production of ammonia and methanol as well.